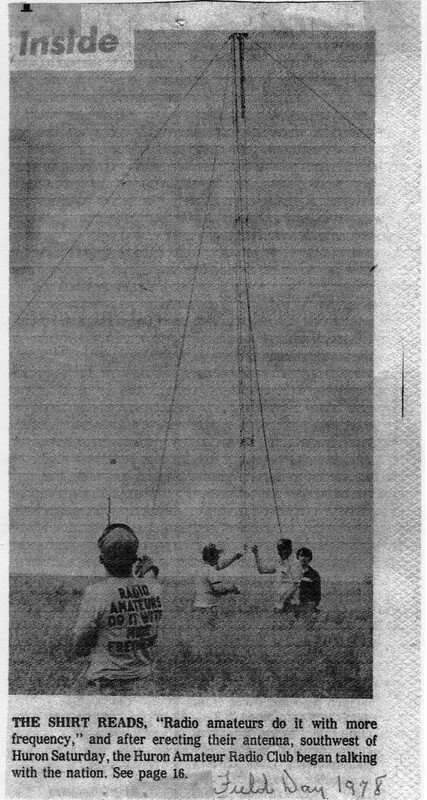 This is a newspaper picture from the Huron Daily Plainsman, 1978, with the Huron (SD) ARC, W0NOZ. I was 16 at the time, and had just gotten my Novice ticket (WD0HWX) a few months earlier. I am standing in the background (with the dark shirt), behind the tower, facing the camera (and probably didn’t have a clue about the double-meaning of the unusual t-shirt).